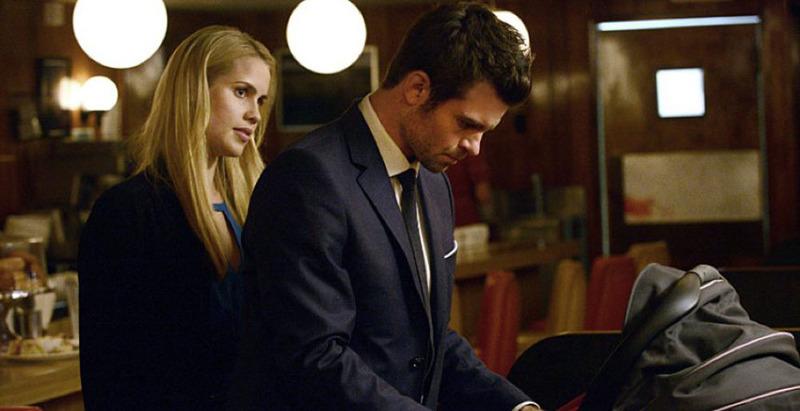 We’re still playing catchup, but these two episodes of The Originals make a nice set. Concerned as they are with paired themes of patricide in the first, and infanticide in the second. And Klaus retains his kindler gentler side, killing not even Davina when she poisons him, or his brothers whom he has captured (well, Marcel and Hayley did that) and is torturing for information on their evil mother. His father had to go, however, as soon as he told him he could sense Hope, wherever she was hidden. Klaus loves his unlikely daughter, so the tragedy of their short and only encounter is nearly earned. This season has kept it all in the family, but somehow that works wonderfully as there are more than enough distinct villains to weave in and out of several interlocking storylines in this quasi-regal clan. So much so that we don’t even get around to Mikael this week, so that’s one in reserve (and of course there’s two if you count Dalia, whom Klaus finally learns of from Finn-cent, and who is most likely lined up as the season’s very biggest bad, considering what a bogey woman child stealer she is rumored to be thus far). We also learn that Cami’s dark object collection is full of mostly things created by Kol (annoyed that he was no longer a witch as a vampire) a century before with the help of actual witches, in a catacomb under the tombs (aren’t there not supposed to be any of those in New Orleans, because of flooding, thus the above ground mausoleums?). This is an Easter egg we can find out more about online at the cw.com apparently. But who has the time? Elijah sleeps through the first episode, still tortured by Esther’s curses, but awakes at the end. Only in part two he is fundamentally changed, reverting to a much more extreme version of himself, one that seeks vengeance remorselessly. That can’t be good. We also have our “Romeo and Romeo” being set up for a distracting date by Davina, who goes after Klaus before realizing she must save Cami instead. Cami has been targeted by Esther as the new receptacle for Rebekah’s soul, which is very twisted indeed and not something we know Rebekah even wants. Well, sort of. 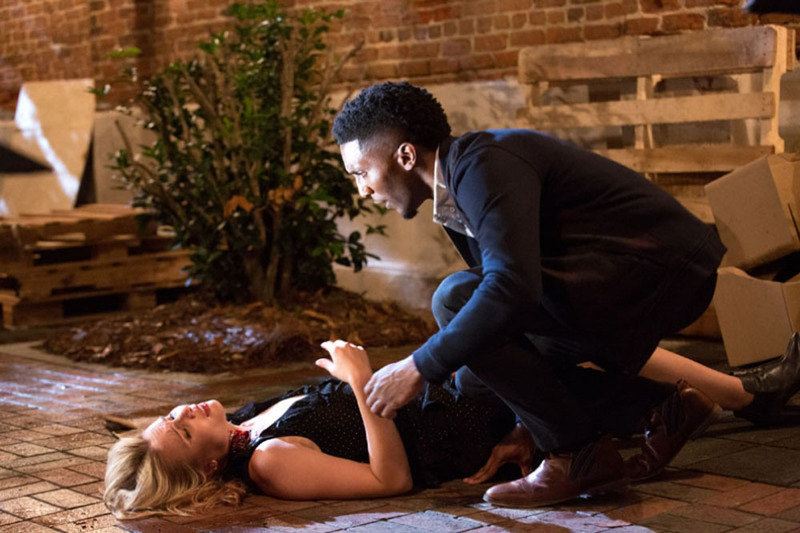 The rest of the episode is complicated, but since no one can reach Elijah (off to guard Rebekah, but out of his mind), Hayley consents to marry Jackson in order to unite their tribes and give everyone control over their werewolf transformations. It was what was intended for both of them, but this is no longer an arranged marriage sort of world. Even down South. 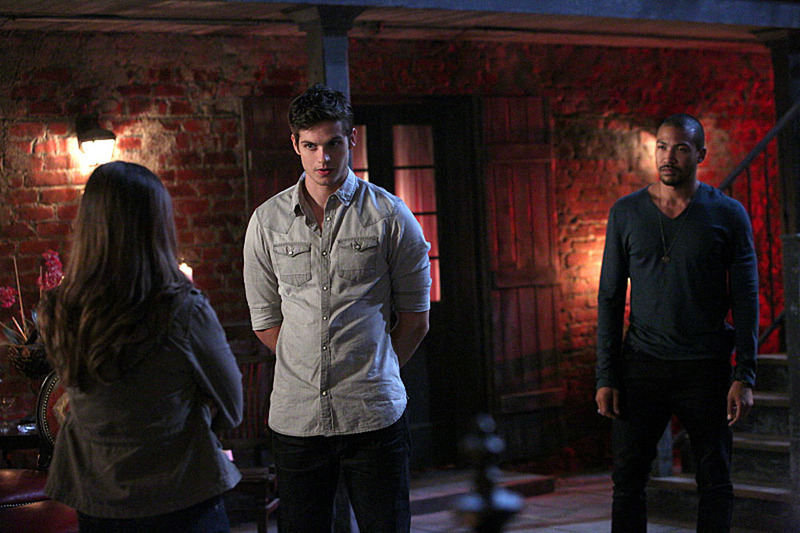 Kol switches sides (despite his urge to dagger Klaus), because he doesn’t relish his mother’s thumb as much as Finn. So now we’ve got a direction for the wolves, for Rebekah (Claire Holt misses not a beat in returning to the role), and next week Mikael plays his wild card. This season has found a much surer footing, much faster than the more episodic first one. The CW should know by now: labyrinthine continuity is its thing. Shawn Hill knows two things: comics and art history. Somehow that led to him writing the Harvey Kurtzman entry for Icons of the American Comic Book: from Captain America to Wonder Woman (2013). He also writes art criticism and is a member of the International Association of Art Critics (AICA), an NGO of UNESCO.